Prepare your skin and hair for the new season and upgrade your beauty routine with the high-end beauty and care products from MALIN+GOETZ – we have selected 97(!) products for you. This New York based brand brings face, body, hair, perfumery and home products for women (and men)! These unisex products are apothecary based and made from pure and natural ingredients – free from parabens, sulfates, unnecessary detergents, colorants and synthetic fragrances. 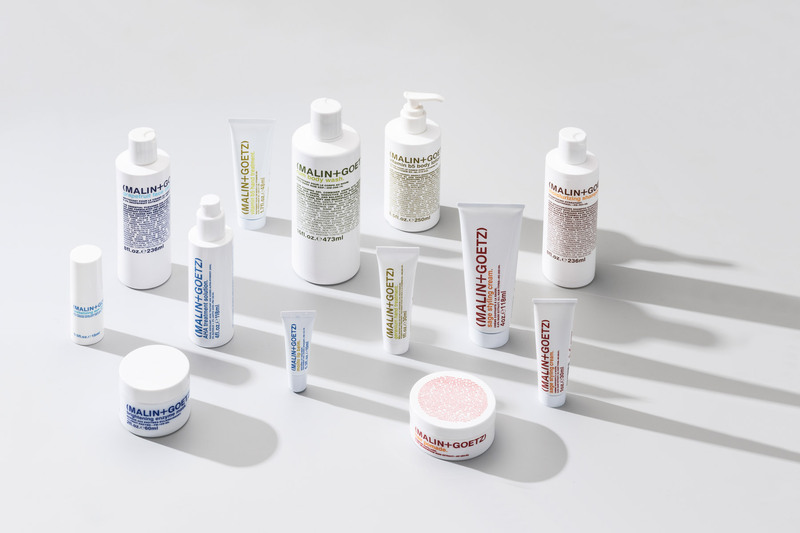 The brand is founded by Matthew Malin and Andrew Goetz in 2004, Chelsea (NY) – Malin suffers from multiple skin conditions, including rosacea and eczema. The duo developed easy-to-use treatments that are made from natural ingredients – together with a trusted chemist with ingredient expertise. All products are based on hydration science that purifies and hydrates the skin and helps to maintain the natural PH balance. Layering is an important topic at Malin+Goetz, as all their products are combinable – you can even mix the different fragrances to create you own special scent. All face products are made for all skin types; with a subdivision in combined and problem skin, dry skin, sensitive skin and the mature skin. The selection of face products consists of moisturizers, face creams, cleansers, masks, oils and serums. Also special acne treatment products and lip and eye products are part of the face selection from MALIN+GOETZ. The bath and body selection from MALIN+GOETZ consists of the products you need from day-to-night. Body wash, body lotion, body moisturizers, body scrub, deodorant, hand treatments and shaving creams – for woman and men with all skin types. All developed with natural ingredients with a luxurious rich scent – from bergamot to eucalyptus, almond, rosemary and rum. All products can be used daily and can be used layered. Women’s hair is sacred and MALIN+GOETZ know that like no other. They developed multiple shampoos, conditioners and styling products. Their bestselling Peppermint Shampoo and Cilantro Conditioner are a golden pair. Does your hair need moisturizing? Go for the Moisturizing and Hydrating Shampoo and the Intensive Hair Conditioner. For the perfect finish you can find styling cream, pomade and gel within the MALIN+GOETZ product range. 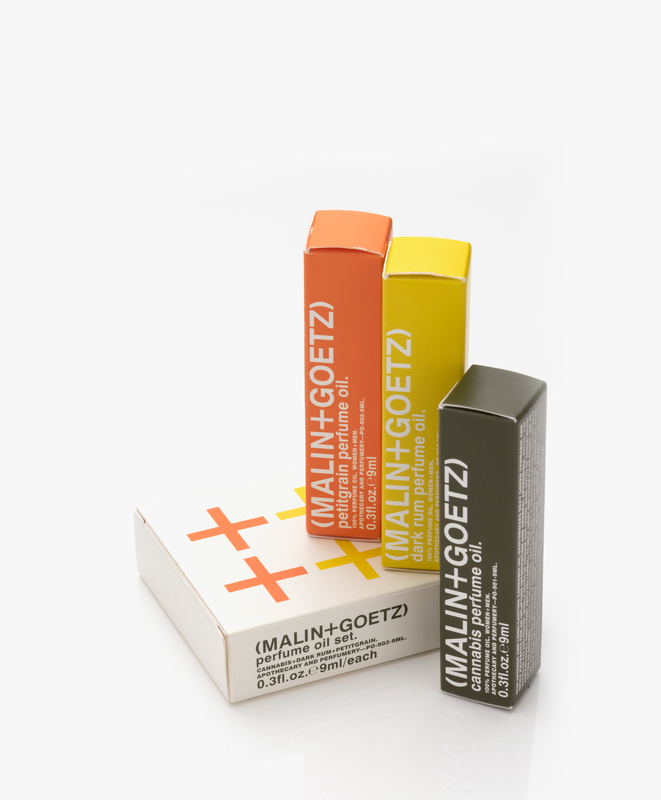 MALIN+GOETZ developed perfume oil, eau de toilette and eau de perfume. The brand stimulates combining different scents to create your own personal perfume, because perfume is such a personal thing. All fragrances are synthesized with natural ingredients like bergamot, patchouli, amber and vanilla. They even developed a Cannabis Perfume Oil and Eau de Parfum – but don’t worry this fragrance is a combination of spicy herbs, white floral notes and a hint of lingering smokiness and doesn’t contain actual cannabis. Did you find your favorite fragrance in the perfume or eau de toilettes range? You can also add this scent to your home! MALIN+GOETZ developed fragranced candles with pure and natural ingredients to light up your rooms! All candles are made from a new, earth-friendly blend of soy, vegetable and bees wax and with a cotton wick. Also available in a smaller (travel) size. Curious about the brand, but having difficulties to pick your favorites? Discover the 5 bestselling products from MALIN+GOETZ. Upgrade your beauty rituals and add these natural products to your everyday beauty routine. 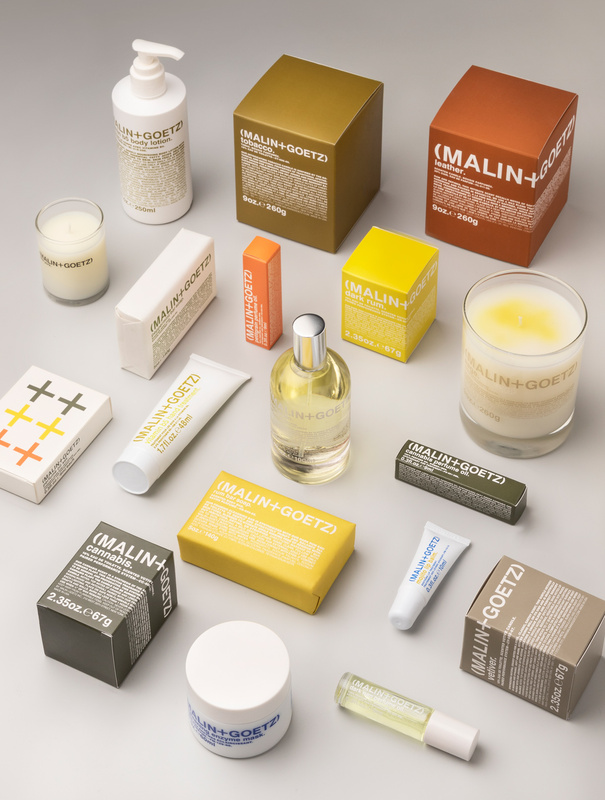 Discover the entire MALIN+GOETZ selection here!